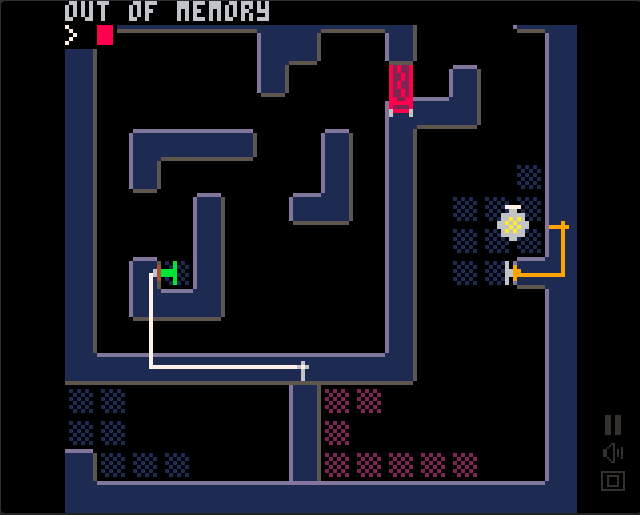 Wire up your robot pals using sensors and logic gates to solve the puzzles and maybe even reunite with an old friend. The original development thread is here. I've put it up on itch.io as well. I love the robot interior. Awesome idea. Oh no! http://i.imgur.com/rlyvLhH.png The moment I spawned this robot for the first time it ran out of memory. The game had been left running for quite some time, mind you, and I've spawned (and respawned) many robots and connected many circuits, all of which I could backtrack and verify still existed. I got a few other reports of "out of memory" as well, and I was able to reproduce it. I've just updated to v1.1 with a bunch of memory optimizations. Sorry about that! My object inheritance model was taking up too much memory with each wire and connection being a full on object. @ChakAttack it warms my heart to hear that you found that all out. Thanks for playing! I would absolutely love to see more of these types of games! I really love robots and programming as a genre! It's so much fun for puzzle games. Great work for sure! The idea and implementation is just amazing. Tons of fun! YES ! I had always wanted to play a game like Robot Odyssey ! I love the soldering feature - so clever. Very enjoyable - thank you! 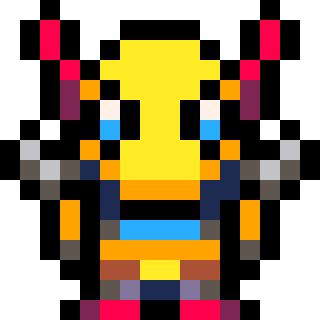 Seeing this on Pico8 warms my heart. I was a huge fan of Robot Odyssey back in the day. I'm so close to being the last puzzle, but I just can't seem to figure it out. Spoilers ahead. I managed to get the round key and I put it in the purple tile with the round hole, and it's making a terrible sound, but besides that I can't see any thing happening with that. I managed see the last robot has a directional thing in it, and it's pointing to something off screen, but I can't find what it's pointing to no matter where I look. I assume it's invisible, but never does the game acknowledge that I've grabbed something, no matter how I try. I cracked open the code and found that the target is supposed to spawn in room 5,2, or room 2,5, I'm not really sure how the map is organized. But that's not helping me at all. EDIT: Alright, I got it. Sheesh, what a puzzle. I take it back. I'm confused again. I tried to speed run this game and couldn't... well, spoilers ahead. I finished all the puzzles. This time I got the ring early so I wouldn't have to back-track. Then I charge it up, take it to the wall, it beeps loud and fast, but the wall doesn't open this time. I hadn't finished the last 2 puzzles yet, so I quick finish the second to last one where the pink and green robots have to work together. The door still won't open. I summon the last robot, the door still won't open. I restart the game, have to resolve the last 3 puzzles, charge up the ring, beep-beep-beep, still no open the secret door. What am I missing? Why did it work the first time?